Welcome to the Network Pages! You are looking at an early stage of an online project containing information and infotainment about network science. Networks are everywhere: the computer or phone that you are reading this on contains a network of transistors and other components, the internet routers that are transmitting our data to your computer form a huge network also, and your brain in particular is one of the most sophisticated networks on earth (but that is an honour that you probably have to share with about 7 billion others...). Networks are also present in the social and financial interactions that underpin our society. Actually, networks are present wherever you can find a bunch of things with a bunch of connections. So it obviously would be great to understand how these networks form, work, and evolve. And that is what network science is all about. One of the great early insights of network science was that networks from all these different categories have some really strong similarities: the structure of your social network is really similar to the structure of the network of enzymatic interactions that turn the sandwich you ate into the chemicals that your cells need to operate. But these similarities are totally not obvious. They were only discovered when people first studied real networks with the tools from mathematics, and that was not too long ago. But given how strong the mathematical similarities between vastly different networks turn out to be, it is no wonder that maths now plays a central role in the study of networks. Mathematicians and other scientists are getting better and better at understanding how all these networks can be studied and modeled. The results are sometimes astounding: did you know, for instance, that almost any two people on Facebook are connected by a chain of at most five friends? Or that earthquakes, the formation of galaxies, and the spread of infectious diseases in populations of animals have all been studied using the same mathematical network model that was originally designed to model the flow of oil through the earth’s crust? And that is just the tip of the iceberg. After all, science is itself the act of exploring a huge network of fascinating, surprising, and supremely useful connections. So in short, network science (as we see it) is a branch of applied mathematics that touches on basically every science and aspect of life. Network science has really picked up in the past twenty years, making it one of the youngest and most active branches of mathematics. Who is the Network pages for? The short answer is: “everyone”. Network science is a very young but (in our opinion) very important field of science. Because it’s so young, there is almost no time devoted to it in school, and there is no good place on the internet to go to for information either. So our aim is simply to provide that information to anyone who wants to learn about network science. If you are a student, at any stage in your education, then we want to provide you with tailor-made educational materials and ideas for projects (such that a report for science class or a bachelor’s thesis). And if you have any questions, you can just ask us. If we know the answer we will tell you, and if we don’t, then we can probably help you find someone who does (or who can tell you that nobody knows if that happens to be the case). If you are just interested in network science and maths because like us you think it's fun, then you will find that our articles, blog posts, and videos tell you what network science is all about, what we know, and just as importantly, what we don’t know (yet). We also will have plenty of interactive demonstrations that will let you get hands-on with some of the most important and interesting network models that science has to offer (they are actually a lot of fun to play with!). If you are a primary or high-school teacher, then we have modules that you can implement in your class. And again, if you have questions, you can just ask us and we will try to help. If you are a scientist or scholar who is looking to learn more about network science, know that we provide higher-level discussions as well. We also have data-sets, images, and even scientifically accurate interactive models and implementations. And finally, if you are a network scientist yourself, then the Network pages will be the ideal place for you to strike up new dialogues or even collaborations, and more importantly, the Network pages can provide for you the perfect venue to share your new discoveries with the rest of the world. We encourage anyone who has an interesting story to tell to share it with us. So as you can see, our aim is to offer a huge range of different things regardless of where you’re coming from. This means that for some things some background knowledge will be required. Because we want to help you figure out what works for you we have designed a ranking system for our posts, so you can tell at a glance how much background we think the material requires (this is indicated by one to four hats at the top/bottom of each post). What will the Network pages offer? As you can probably tell by now, our plans for the Network pages are really ambitious. But our means are limited, so we will start slowly. In the beginning, we will mainly focus on writing articles at a variety of levels. We will at regular intervals publish popular science articles, interviews, and blog posts. We will also publish serials that explain at a non-academic level what network science is all about: what network scientist do, what we know about networks, why we think it is important to know these things, and also importantly, how we go about our work. We will also post explainers, which are like Wikipedia entries, but less technical and more attuned to each other. And we will gather from the internet whatever interesting tidbits about network science we can find. On the longer term we will also post a variety of educational materials and videos. And we aim to set up a comprehensive library of images and data sets. Anyone is welcome to use or contribute to the library, and we will keep the copyright issues to a minimum, to promote sharing. 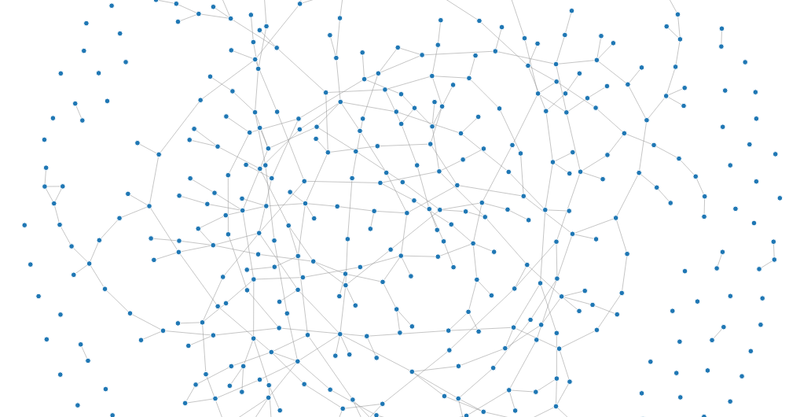 These demos will let you discover in a very visual and interactive way just what a mathematical model of a network really is, and how they work. You can find out how we make the models work, because we also show the computer code, and tell you how it works. This way you can find out just how amazing network science really is on your own. In short, we are really excited about the Network pages, and we hope you will come and visit us often in the years ahead!